Following the 2011 season, Toronto Blue Jays’ GM Alex Anthopoulos was tasked with rebuilding a disappointing bullpen. Their 25 blown saves was tied for the most in the American League. Not one to sit on his hands, Anthopoulos went to work. The team reacquired Jason Frasor and traded prospect Nestor Molina to acquire White Sox closer Sergio Santos. The Jays then signed veteran relievers Francisco “Coco” Cordero and Darren Oliver and converted starters Carlos Villanueva and Luis Perez to full-time bullpen duty. Jon Rauch and Frank Fransisco – lightning rods for disgruntled Blue Jay fans – were jettisoned. With a bona-fide closer in Sergio Santos (he had 92 strikeouts in 63.1 innings in 2011) and a veteran setup man in Francisco Cordero (37 saves, 2.45 ERA in 2011) it was generally accepted that the Blue Jays had turned the bullpen from an area of weakness into a strength. In the first two weeks of the 2012 season, it seemed as though not much had changed from 2011. Blue Jays relievers had blown four of five save opportunities, issued the most walks (16) in the AL and were tied for the most losses with three. And it got even worse as the season wore on. The much-ballyhooed closer, Sergio Santos, hit the disabled list and would eventually require season-ending shoulder surgery. Francisco Cordero imploded in nearly every appearance that he made; he was relegated to Mop-Up Duty. 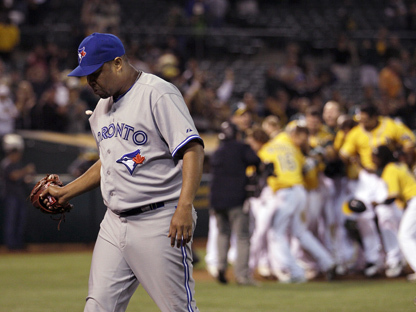 Carlos Villanueva was pushed into an injury-decimated rotation. Luis Perez had season-ending Tommy John surgery. Jason Frasor landed on the DL with forearm tightness. A patchwork of minor leaguers in Chad Beck, Robert Coello, Jesse Chavez, Joel Carreno, Evan Crawford, Sam Dyson and Chad Jenkins were brought in to plug the holes. A bullpen that was rated one of the best in baseball coming into the season currently sits 13th out of 14 teams in terms of bullpen ERA. How could all of this have happened? Within seasons, reliever performance can be volatile, both because of the nature of relievers and the small samples involved in that role. The top three AL bullpens of 2011 by ERA – the Yankees, Angels and Mariners – currently rank 7th, 12th and 6th respectively. Why the drastic change? There are changing BAbips, turnover, attrition, changing roles, injuries (concealed or otherwise), small sample sizes becoming medium sample sizes and erratic strand rates. There is also the “bounce-back” effect: relievers who pitch well in one season are overworked and could potentially be less effective the next year, and vice-versa for relievers who pitch poorly. Building a bullpen is the most unpredictable and the most difficult part of a ball club to put in place. Because relievers only pitch 70 innings (at most) per year, teams make a lot of mistakes in terms of evaluating them. The inconsistency in the year-to-year performance of the large percentage of major league relievers makes it difficult to for a club with finite resources, such as the Blue Jays, to invest significant dollars or years into relievers. As a result, it is important to look at both subjective and objective indicators of potential bounce-back candidates and look to provide manager John Farrell with different complimentary attributes (power arms / swing-and-miss pitches for strikeouts / ground ball pitchers / different arm slots/angles) to provide numerous options to utilize in various leverage situations. That is what Alex Anthopoulos did when he traded Travis Snider for Brad Lincoln and Eric Thames for Steve Delabar. He then acquired three pitchers in a 10-player trade with the Houston Astros. These three deals provided stability for the 2012 staff, but more importantly, they helped to build the foundation for what may be a stellar bullpen in 2013. Brad Lincoln fits the power-arm reliever mold – his fastball is clocked in the low-to-mid 90s, which he complements with a “power curve.” As Matthias pointed out in his scouting report on Brad Lincoln, opponents are sluggling a measly .185 against the pitch. Steve Delabar, on the other hand, has a devastating split-fingered fastball that induces many swings-and misses. Calling it a “depth deal,” Anthopoulos acquired left-handed pitcher J.A. Happ and right-handed relievers Brandon Lyon and David Carpenter. While Happ is ticketed for the starting rotation, Brandon Lyon has outperformed expectations in his short stint with Toronto’s bullpen. Of all of the bullpen acquisitions, Brandon Lyon is the only one who is eligible for free agency at the conclusion of the season. With a clearer picture of the main bullpen players, let’s look at how the bullpen lines up for 2013. 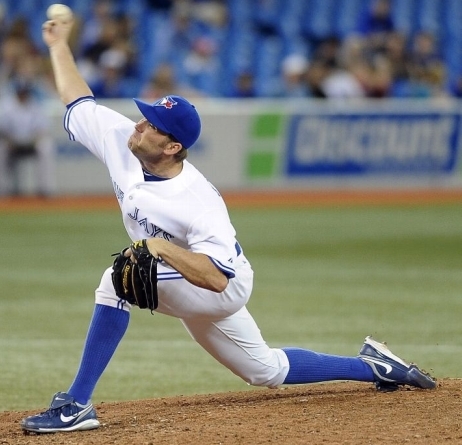 The closer’s role is Casey Janssen’s to lose. Since he assumed the role of closer on May 9th, Janssen has converted 19/21 save opportunities, struck out 44 in 42.1 innings and has walked only seven. His ERA is a sparkling 1.49 over that span and opponents are batting a paltry .168 against him. Of course, there is an unwritten rule that says a veteran player should never lose his job due to injury. Sergio Santos is not a veteran; he will have to prove that he is healthy before he returns to any high-leverage relief situations. With that said, there is a trail of Blue Jay relievers who have had success closing, only to have their careers flame out years later. Jeremy Accardo, Darren Hall and Aquilino Lopez are three names that quickly spring to mind. Again, because of the year-to-year unpredictability of reliever performance, it is important to have a contingency plan should the closer falter. Luckily the Jays have that in Steve Delabar. It’s important to have a reliever with a swing-and-miss pitch to use in high-leverage situations at the end of a ballgame. As you can see from the video above, Delabar’s splitter is devastating. Below is a graph that tracks the amount of swings-and-misses compared to contact. The blue marks are the swings and misses. Courtesy of Joel Efkowitz’s Pitch f/x tool. With runners in scoring position and less than two out, a groundball or flyball just won’t do. A strikeout is needed and Steve Delabar has the stuff to get it done. And if Janssen should falter? I anticipate that Delabar could step into the closer’s role seamlessly. By acquiring Brandon Lyon at the trade deadline, the Blue Jays put themselves in a position to get an up-close and personal look at a candidate for their 2013 bullpen. Since arriving in Toronto, Lyon has been dominant. In 16.1 innings pitched, Lyon has struck out 24 while only walking two. Although he’s not a power arm in the traditional sense, Lyon is still able to get strikeouts through impeccable command of his curveball and cut-fastball. It’s important not to draw concrete conclusions from Lyon’s small sample size, but his “stuff” plays well to the 7th inning role. With that said, Lyon is in the final year of a 3-year/$15 million deal. Reliever performances in short stretches will remain unpredictable, making acquiring them at high cost a bad strategy. 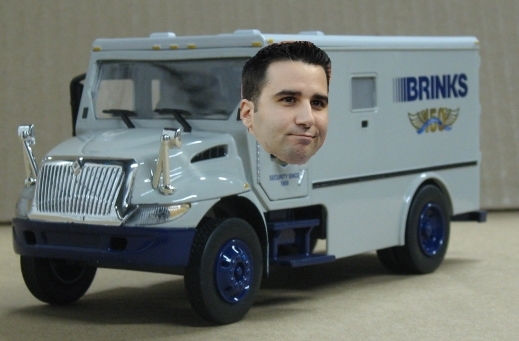 If Lyon is looking for anything approaching $5 million per season, don’t expect Alex Anthopoulos to back up the Brinks truck to ensure his return. If Lyon isn’t back, the 7th inning role can be filled by one of either Brad Lincoln or Sergio Santos. Lincoln has great peripheral numbers this season: a 3.20 ERA and a strikeout-to-walk ratio of nearly 4-to-1. Of course, Lincoln has been used as both a starter and as a reliever and is still adjusting to his new role in the bullpen. If it turns out that Lincoln can’t hack it, there’s always Sergio Santos. The former closer had MLB’s top out pitch as recently as 2011. Of course, his health remains a question mark, but if he returns to his former self, the back-end of the Jays bullpen has the potential of being dominant. This is where things get dicey. The incumbent, Darren Oliver, has been outstanding in this role. In fact, he’s been outstanding for the last five seasons – and he gets better every year. He’s about as reliable a reliever as you can find. The Blue Jays are paying Oliver $3 million this season and possess a $3 million team option for 2013. It’s a no-brainer for the Jays to exercise the option, however, Oliver is 41 years old. What if he chooses to retire? While the Blue Jays lack proven candidates, they make up for in the number of candidates to choose from. There’s Brett Cecil. Aaron Laffey. J.A. Happ. Evan Crawford. Then there’s the emergence of Aaron Loup. Since adhering to roving pitching instructor Dane Johnson’s advice in regards to lowering his arm slot, the cross-firing Loup has been extremely effective. Since joining the Blue Jays on July 14th, Loup has a 17:1 K:BB ratio while holding left-handed hitters to a .143 batting average. If Loup turns out to be a small-sample-size wonder, Brett Cecil could be an option. Throughout his career he’s had success against left-handed hitter, yet he’s never pitched in relief at the big league level. Luis Perez’s electric arm may be able to re-join the rotation mid-season, but he’s an uncertainty. Here’s hoping Darren Oliver is back for the 2013 season. 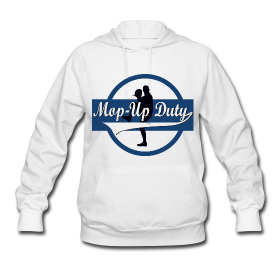 Of course, Mop-Up Duty is the least important aspect of the bullpen and it can be addressed in a number of ways. The Mop-Up Man is usually filled by a starting pitcher who failed the make the starting rotation out of spring training. With the uncertainty of the rotation next year, this could be anyone. Perhaps Shawn Hill – a perpetual five-inning starter, would be a good fit for this role. Middle relief candidates are a little bit more important; at times a starter will go five innings and leave with a lead and it’s up to the middle reliever to hold it. As well, if there’s an injury to one or more pitchers in the back end of the bullpen, there needs to be sufficient depth to plug the holes. Steve Delabar’s elbow was wired together in 2009 and worked as a substitute teacher in 2010. Who knows if he can stay healthy? 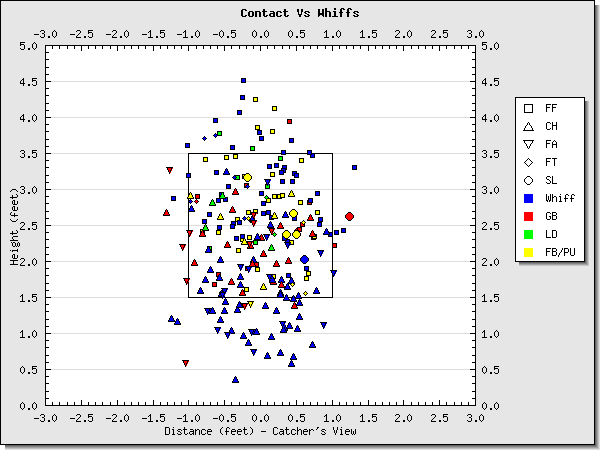 If Jason Frasor returns, he would be an ideal candidate to work the 6th and 7th innings if need be. David Carpenter, acquired in the Houston Astros deal, is a strike-throwing option currently plying his trade in Vegas. It’s worth noting that he has only been pitching full-time since 2009. As well, there’s always Marcus Stroman. His 50-game suspension is not applicable when on the Major League roster. Alex Anthopoulos has gone on the record, stating that the bullpen – as it currently stands – is “Championship Calibre.” Because of that fact, the Blue Jays GM is now able to focus on the team’s glaring need: starting pitching. Even if the team isn’t able to acquire starting pitching that can pitch late in the game, the fact that the bullpen will be able to keep the team in it from the 6th inning onward will be a refreshing change from what has taken place this season. At least in theory. Again, the bullpen heading into 2012 was supposed to be one of the better pens in the league… on paper. This year’s Baltimore Orioles team has a negative run differential, yet they are contending for a playoff spot. How have they done it? A strong bullpen has allowed them to win a number of one-run games (they’ve gone 23-6 in one-run games) and games in extra innings. Had the Blue Jays converted half of the team’s 25 blown saves in 2011, they would have been the wild card winners. What Anthopoulos has done in acquiring three low-cost, controllable players (Lincoln, Delabar, Carpenter) may prove to be a savvy way to re-vamp a bullpen in tatters. By using both subjective and objective indicators of potential bounce-back candidates, Anthopoulos has provided manager John Farrell with different complimentary attributes (power arms / swing-and-miss pitches for strikeouts / ground ball guys / different arm slots/angles) to provide numerous options to utilize in various leverage situations. While we can’t predict the success of the 2013 bullpen, there’s one thing we can predict: reliever performances in short stretches will remain unpredictable, making acquiring them at high cost a bad strategy. By having a relatively low-cost bullpen, Anthopoulos is free to focus his resources on bringing the rotation to a Championship Calibre to match the offensive core and – possibly – the bullpen. Featured image courtesy of Kelley L Cox-US PRESSWIRE. All stats current as of September 2, 2012.